It’s official. Stoffel Vandoorne, once a young prodigy, will be leaving McLaren at the end of the 2018 season a tarnished could-have-been. And he’s just another name to be added to a growing list of potential talents, gone before they got their fair shake. See, Formula One has become something of a conundrum. As the self-proclaimed pinnacle of motorsport, it’s the lofty goal of many young dreamers getting behind the wheel of a kart for the first time. It’s the driving factor behind plenty of careers. It’s the reason young drivers sign up for junior programs run by teams like Red Bull, McLaren, and Mercedes. But keeping that talent around has become a problem that seemingly lacks a solution. Take, for example, Vandoorne. His incredibly dominant championship pursuit in GP2 against a stacked class of successful drivers in 2015 proved this is a man who could drive a car to its very edge and come home with the best results possible. McLaren snatched him up for their junior program as fast as they could—and on his first-ever outing, replacing the injured Fernando Alonso in 2016's Bahrain event, Vandoorne out-qualified his then-teammate Jenson Button and scored a point by finishing tenth. But when he joined McLaren full-time after Button’s retirement, Vandoorne was at something of a disadvantage. Any rookie driver will be given just a bit of leeway as they learn the ropes—but in a sport as stratified as F1 and on a team as unstable as McLaren, the only real person to be compared to is your teammate. In Vandoorne’s case for the past two seasons, that’s been none other than world-class driver Fernando Alonso. Here’s where the butting of heads begins. New talent versus established drivers. For as much as we talk about F1 drivers having an expiration date, that drivers can be “too old” to participate, the sport hangs onto its tried and true field for as long as humanly possible. Think of drivers like Alonso, Raikkonen, and Hamilton: names that have been around for over a decade and who are still holding seats. Think of the next era of drivers—the Vettels, Verstappens, and Ricciardos—who are likely to have a long, fruitful career ahead of them. And think of the Perezes and Hulkenbergs and Grosjeans: the people who have found a seat year after year, despite seasons of mixed-bag results and midfield success at best. It is, as you can imagine, pretty difficult to wedge your way into a decent seat when so many of them are already off the table. For the young drivers who do make it onto the grid, well, they’re an unknown factor competing against a field of proven entities. They’re already starting off at a disadvantage. A young driver joining an F1 team for the first time is very likely going to be the ‘number two’ driver on the team. In Vandoorne’s case, that was going to be obvious: a team is far more likely to listen to the input of a World Champion, more likely to cater to his needs and requirements ahead of a rookie’s. If that doesn’t work for Vandoorne? Well, that’s his problem. He has to adapt. And even if he does manage to stay within a few tenths of his far more experienced teammate, as he managed to do throughout most of the 2017 and 2018 seasons, his shortcomings will be scrutinized with precision. It’s been a similar story with Red Bull’s junior program. Drivers have, generally, about two years to prove themselves as competitive. Sebastian Vettel set the standard by winning his first race with Toro Rosso. All drivers from that point forward have been expected to do the same. The laundry list of drivers cut from the F1 program at the hands of Red Bull’s demand for an excellence their cars aren’t quite able to provide is a long one. And drivers like Jean-Eric Vergne and Sébastien Buemi have gone on to prove their capability behind the wheel—they just weren’t given the time to blossom in F1. Only a few drivers, like Max Verstappen and Charles Leclerc, have had the prodigy status to sustain them through some pretty disastrous races. The Pascal Wehrleins of the world are left to fend for themselves. If you’re a young driver, it doesn’t look like Formula One is a hospitable field in which to show your talents. You need to have an established name long before you even enter F1's ranks in order to be taken seriously. But, as Vandoorne’s unceremonious dismissal has shown, sometimes even that isn’t enough. Fernando Alonso isn’t returning to F1 in 2019. Keeping Vandoorne for at least one more season as a driver familiar with the team would have made sense—instead, his seat will be filled by up-and-coming British star Lando Norris, a driver who is in much the same position as Vandoorne as he made his own F1 debut. F1's system seems to be fundamentally broken. We have the big names we do today because someone took a chance on a skilled driver who needed to learn how to be their best. Raikkonen might have been scoring podiums for McLaren in his second F1 season, but he retired from more races than he finished. Alonso’s first season was a disaster. And this was back in an era similar to our own, as Ferrari’s Michael Schumacher dominated races. 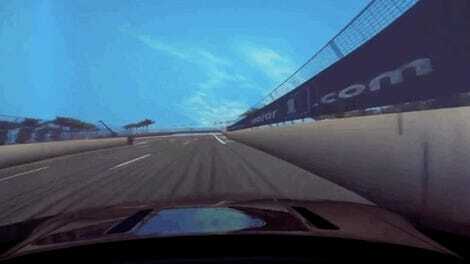 Young drivers were given just a little more leeway to prove themselves. That made a huge difference in the retention rate of those drivers, something we just aren’t really seeing today. Formula One needs a change. While we can hope that, with big names slated to retire this year, more young drivers will get a fair shake to learn the ropes, a fundamental mindset of the series needs to change. Some people have suggested a third car on each team for a young driver, but the exorbitant costs of F1 make that a near impossibility. Too many teams already struggle to find funding. And if team size was more flexible, like in IndyCar, we could reasonably expect that legacy teams like Ferrari would have the means to expand while Sauber would still be left to struggle. The Powers That Be in F1 need to take a long look at themselves and their current business model, because it’s failing the very drivers it’s supposed to be showcasing. 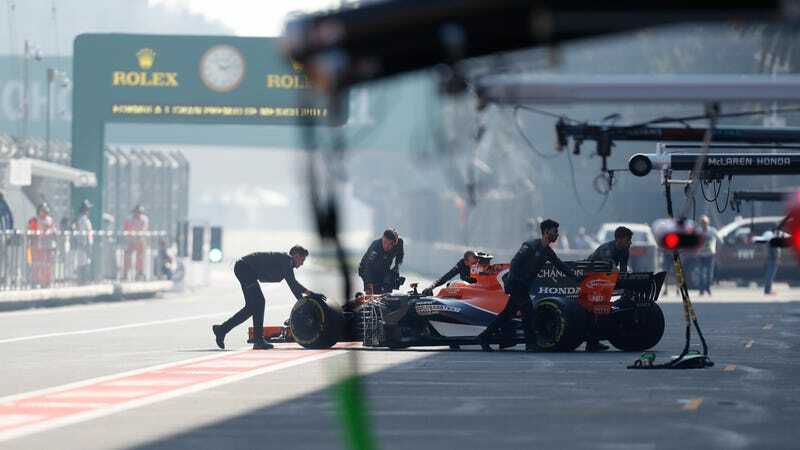 If they don’t find a way to change the system in place, we’re likely to see a significant shift away from F1 as the so-called highest rung of the motorsport ladder as drivers try their hand in an arena where their skills will be more fairly analyzed.